Today, modern dental technology has made it easier and more convenient than ever to get the dental treatment you need. Advancements such as CEREC have made it easier to provide restorative dental treatments, such as dental crowns, bridges, and dental implants. At Fischl Dental Associates, we use CEREC, along with other specialized dental technology like digital X-rays, to deliver the superior care for patients in the Evanston area. 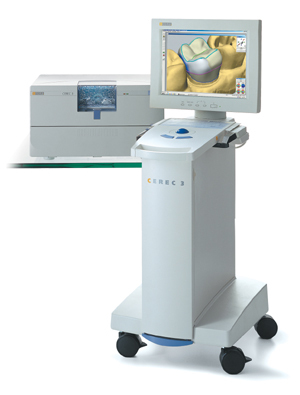 CEREC is an acronym, which is short for “Chairside Economical Restoration of Esthetic Ceramics”. 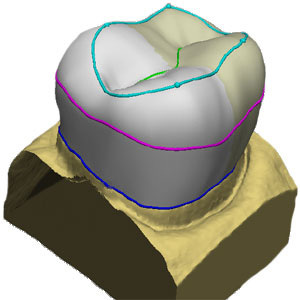 Essentially, CEREC is an advanced 3D modeling and manufacturing technique that allows Dr. Paul and Dr. Marie Bradley Fischl to create dental prosthetics in a single appointment. Without CEREC, a dentist would have to send images and molds of your teeth to a third-party lab, where your prosthetics (such as an implant or crown) would be manufactured. This process could take weeks. CEREC uses advanced 3D imaging and scanning software, and allows our doctors to create a dental prosthetic in just a single appointment, making your treatment faster and more effective. If you need a crown as part of your dental treatment, one of our doctors will clean your teeth and use a special 3D scanner to take images of your mouth. Next, this information is sent to our CEREC manufacturing device. We will fine-tune the dimensions and color of your crown to ensure that it fits perfectly in your mouth, and the machine will trim a block of porcelain into the desired shape with laser precision. Once your crown is made, we’ll make sure it fits in seamlessly with the rest of your smile, and place it in your mouth. CEREC crowns are just as effective as traditional crowns made in a third-party lab. They’re a great restorative option if you have a damaged or infected tooth that needs to be repaired. Multiple CEREC crowns can also be used to build dental bridge, and to finish dental implants for patients looking to replace missing teeth. CEREC speeds up treatment times for many different procedures and even produces better, more natural-looking results. Call Fisch Dental Associates for a Same-Day Crown! If you’re interested in learning more about CEREC technology and its benefits, or if you think you may need a dental crown, bridge, or implant, this is the perfect time to get started with Fischl Dental Associates. Take a look at our smile gallery to see the beautiful results of our past CEREC treatments! Dr. Paul and Dr. Marie Bradley Fischl are both experienced with CEREC technology, and our practice is always accepting new patients. Contact us now at (847) 864-0822 to get started, or drop by our office at 636 Church Street, Suite 200 W, Evanston, IL 60201.